Learn how to make fried green tomatoes with shrimp salad from Third Coast chef John Buchanan. HOUSTON, Texas (KTRK) -- Are you ready to sink your teeth into something succulent and delicious? Learn how to make fried green tomatoes with shrimp salad topped with hot sauce aioli from Third Coast executive chef Jon Buchanan. For the shrimp salad, add the chopped shrimp, vegetables, pickle relish, capers, chopped herbs and half a cup of aioli or mayonnaise in a mixing bowl and fold together. Season with salt and pepper. Whisk together remaining aioli/mayonnaise and hot sauce and set aside. Place tomatoes on a sheet pan, salt lightly on both sides and let sit out at room temperature for 30 minutes. Rinse off tomatoes with cool water, pat dry with paper towels and set aside. To set up breading station, take half the corn flour and season with salt and pepper and put into its own container. Whisk together the egg and milk, season with salt and pepper and put into its own container and set aside. Mix remaining corn flour with the corn meal, season and put into its own container and set aside. To bread the tomatoes, dredge in corn flour, egg wash and corn flour/cornmeal mix. Once all tomatoes are breaded, fry in 350 degree oil until golden brown. Remove from oil and place onto paper towels to absorb excess oil. To serve, top hot tomatoes with shrimp salad, drizzle with the aioli and garnish with chives and cherry tomatoes. 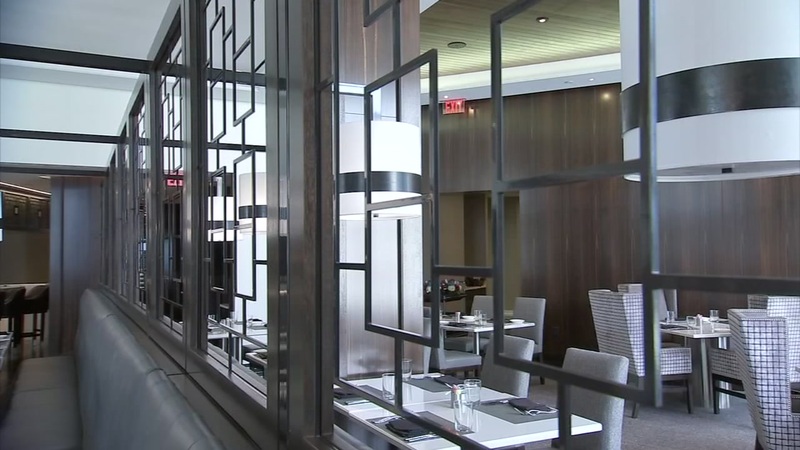 A beautifully designed restaurant hidden in the Medical Center brings a new spin to upscale dining.